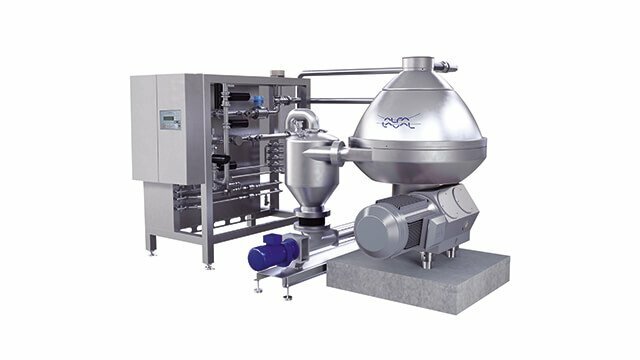 Alfa Laval disc stack centrifuges have a long history of enabling breweries around the world to achieve higher yields, meet shifts in demand and maintain profitability. 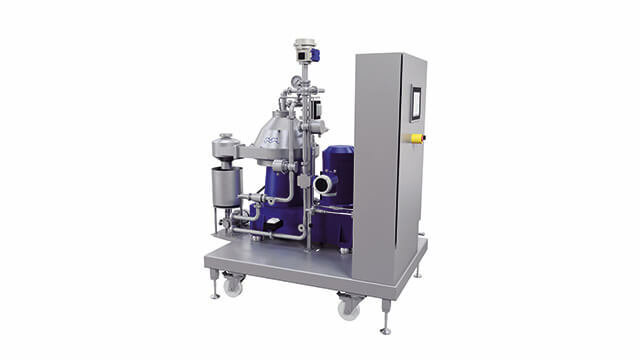 Used in pre-clarification, green beer separation, hot wort separation and beer recovery, they ensure minimal levels of oxygen pick up during passage through the separator and the highest standards of hygiene. 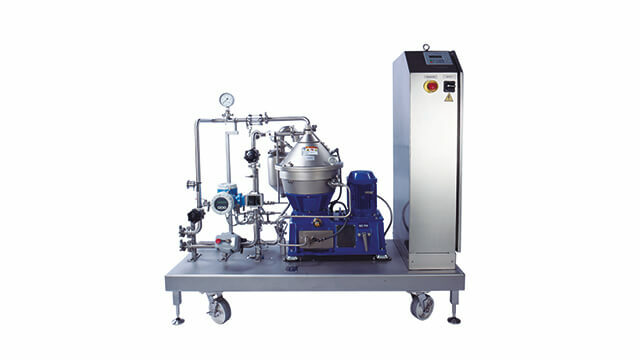 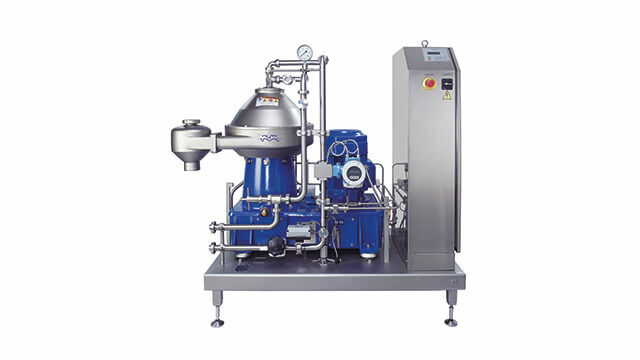 Alfa Laval is one the major global supplies of high-quality separation equipment to the brewing industry. 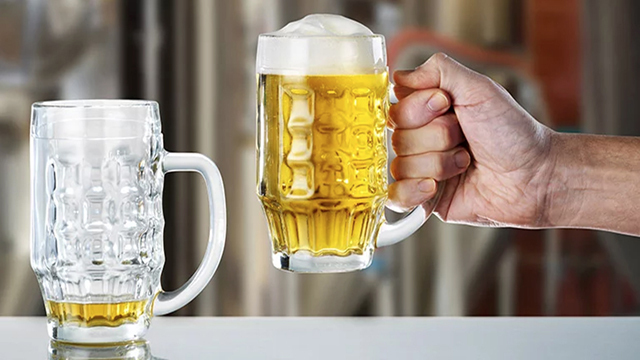 Our centrifuges have proved crucial in enabling breweries around the world to achieve higher yields and greater efficiency, as well as in helping them meet changing demand patterns from consumers while maintaining profitability. 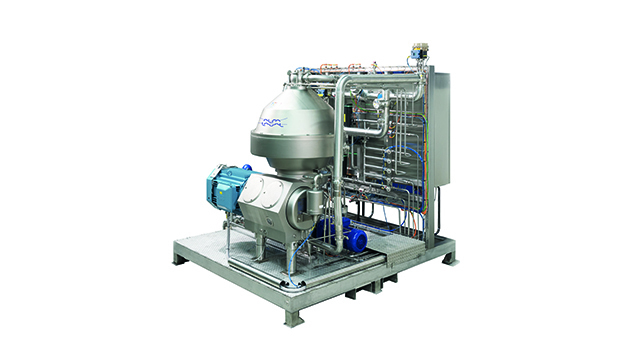 Beer brewery centrifuges from Alfa Laval ensure minimal levels of oxygen pick-up during passage through the separator, which is a major quality requirement for brewers. 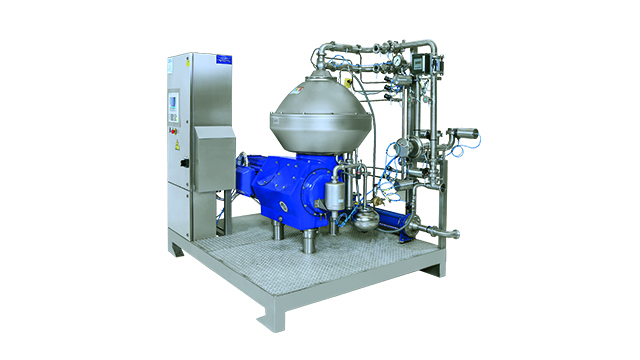 Hygiene is also a prime focus in all aspects of the design of our brewery centrifuges. 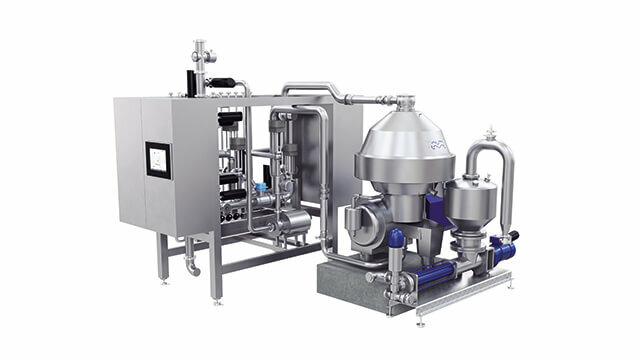 With features and options such as our fully hermetic seal that ensures minimal oxygen pick-up in the clarified liquid, SmartEject self-triggering system, which provides intermittent discharge of solids that have a high dry matter content, a specially designed variable frequency drive (VFD) system provides benefits that include low starting current and a short time power supply, and much more, the brewer can customize the separator performance and capacity to a given application task to the optimum yield. 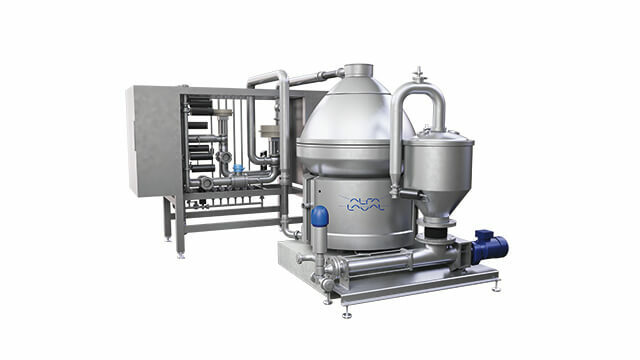 An Alfa Laval Brew 701 eMotion™ has up to 70% lower power consumption. 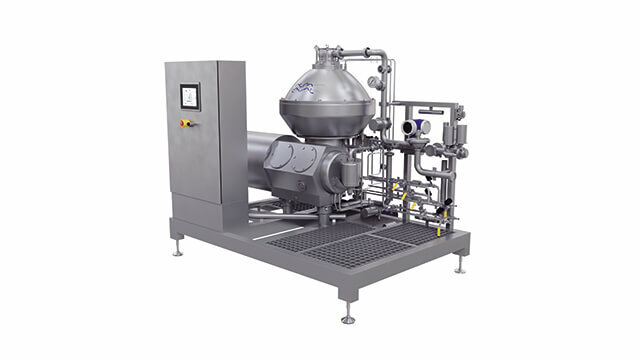 That means zero energy cost for roughly every second batch you process. 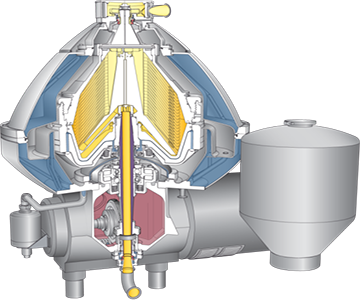 The heavier solids phase is collected at the periphery of the bowl, where it is discharged intermittently via the centrifuge cyclone. 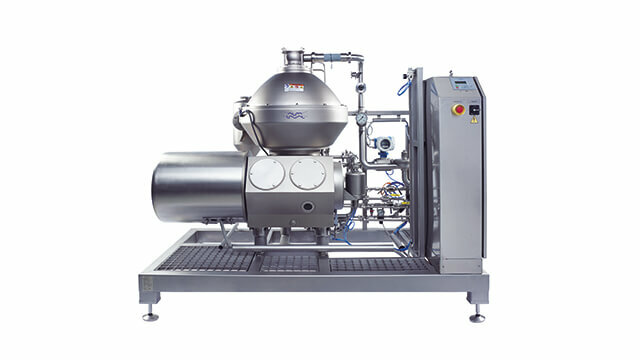 The solids are discharged by a hydraulic system below the separation space in the bowl, which forces the sliding bowl bottom to drop down at suitable intervals, thus opening the solids ports at the periphery of the bowl. 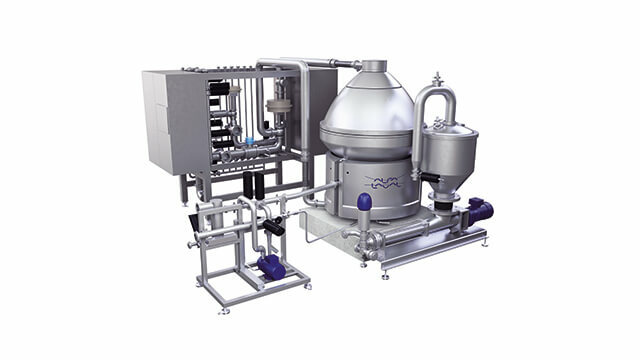 Yes, I'd like to receive updates about Brew 701 and other Alfa Laval products for breweries.